The merchandise, which features James Baldwin, also reads: “I wear black on the outside, 'cause black is how I feel on the inside". Morrissey has been criticised after announcing that he would release a T-shirt, which some have deemed racially insensitive. The Smiths legend shared a first look at the merch on his true-to-you fansite, revealing it would be available at "forthcoming Morrissey shows in North America" and official Morrissey shop, Mporium. 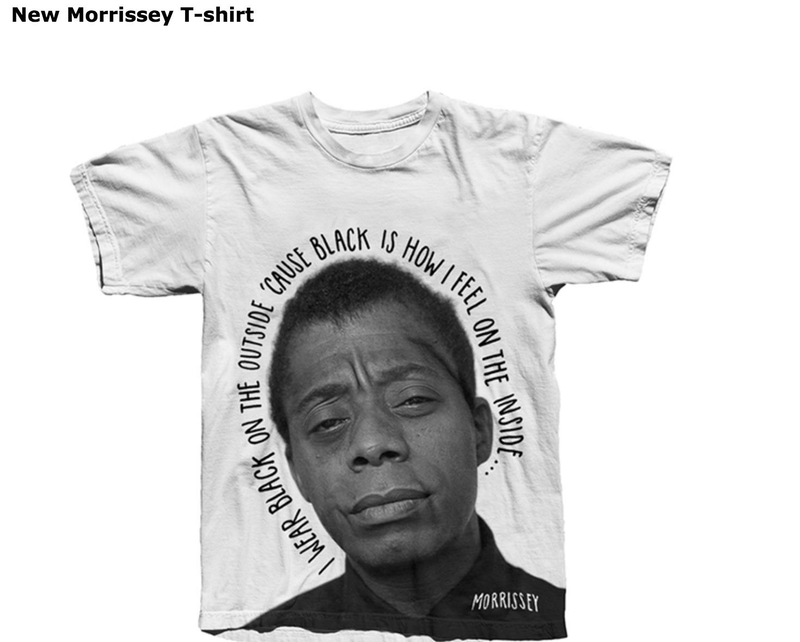 The T-shirt, which features novellist, poet, playwright and critic James Baldwin also reads: “I wear black on the outside, 'cause black is how I feel on the inside"- a reference to The Smiths track, Unloveable. Many have taken to Twitter to call the T-shirt bad move for the outspoken star. However, not everyone agrees. One Twitter user writing to an outlet: "You clearly understand nothing of what James Baldwin stood for. Not a racist t-shirt at all if you know the subject." @FACTmag You clearly understand nothing of what James Baldwin stood for. Not a racist t-shirt at all if you know the subject. Morrissey is yet to comment on the controversy, and the T-shirt appears to still be on sale at Mporium for £25.